Happy Fall, and Happy October! We currently have over 60 patients in our care. With the onset of the cold weather, and the decrease in daylight, our beloved birds are on the move. It is always a race against time, to ensure that our migratory patients are released in time for them to make their southern journey. Just yesterday, we released two Chimney Swifts. These two birds came to us as orphans several months ago and required months of intensive care. 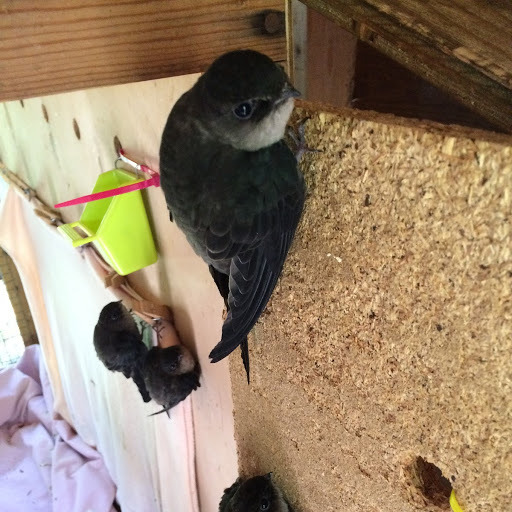 It is critically important to release swifts into a flock of traveling swifts or swallows. These amazing creatures (swifts) fly all the way to Peru for the winter and don't look back. 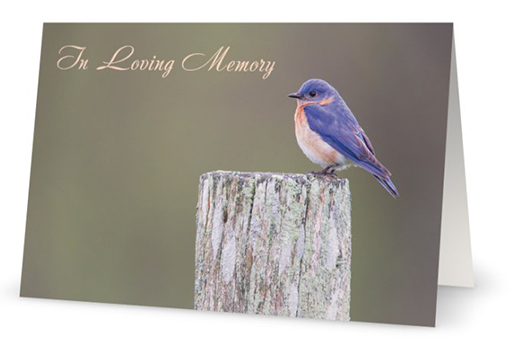 We are fortunate that our Volunteer Amy Sanders knew of a large flock of Tree Swallows in the marsh near her home. The swallows had been congregating there for the past few days, preparing for migration. Amy released the two swifts into a group of these swallows yesterday evening. The two swifts, "swirled around below the swallows for 2 minutes, and then circled up even higher". A success! We wish these feathered marvels well on their long journey. ﻿Your donation helps migratory species like these Chimney Swifts to get back on the wing. 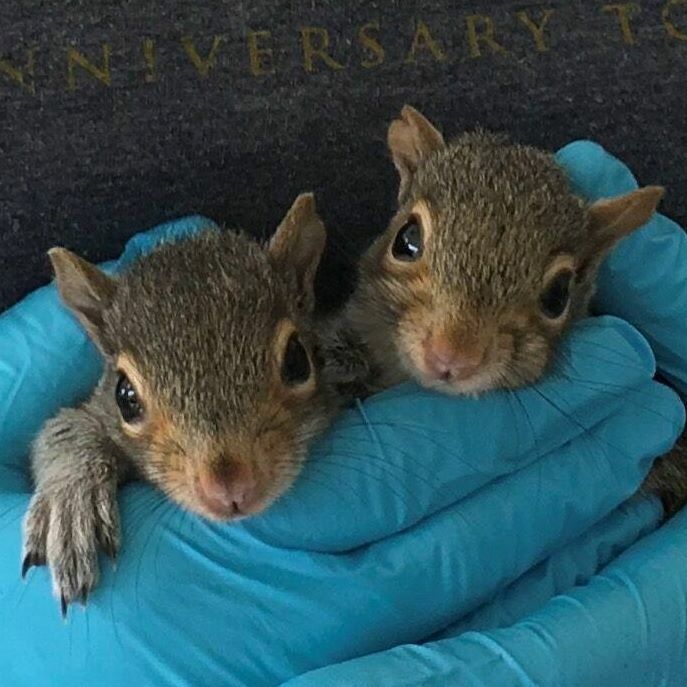 Did you know that 33 of our current patients are orphaned squirrels? They are almost weaned! Please, help us keep them fed, and help get these babies back into the wild! Thank you to Lower Cape TV for featuring Wild Care, and our wonderful world of squirrels! Click on the video or watch here. 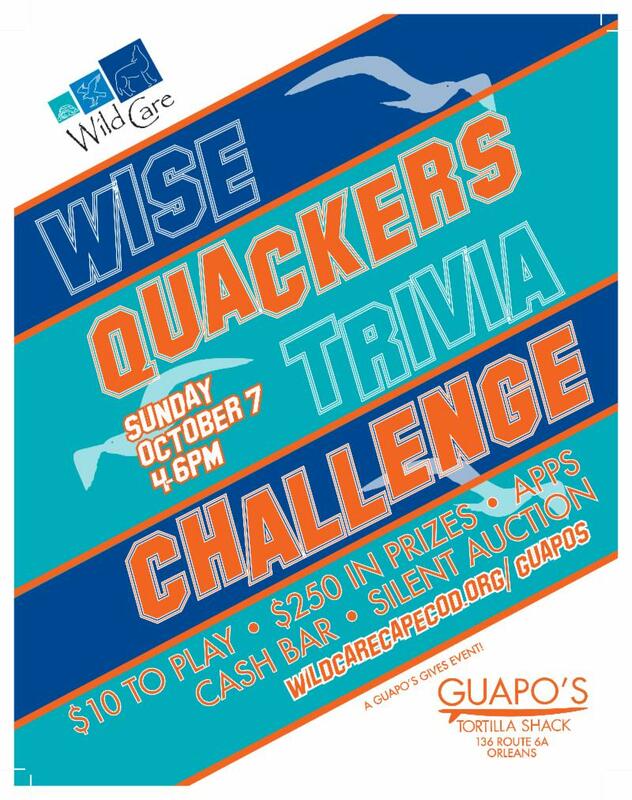 For just $10 @ the door, you're treated to light appetizers, wildlife trivia, a silent auction and more. Cash bar available. Trivia winner will receive $250 in prizes. Sign up at the door. 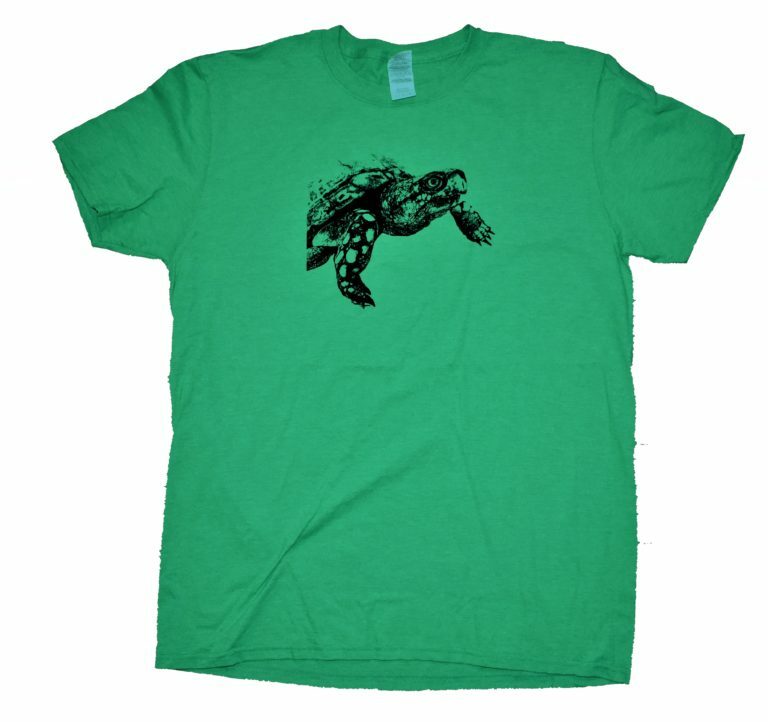 Know your local wildlife for a chance to win! Meet and greet with Wild Care’s Educational Ambassadors, “Up Up and Nickerson” the Eastern Screech Owls, and everyone’s favorite Eastern Box Turtle, #45. 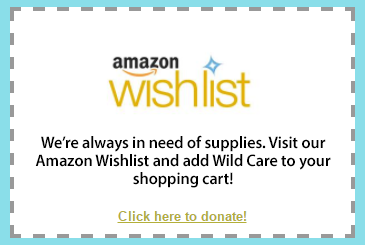 BRING A WISH LIST ITEM: Attendees are encouraged to bring small items on Wild Care’s “Wish List” to help us continue our important work. 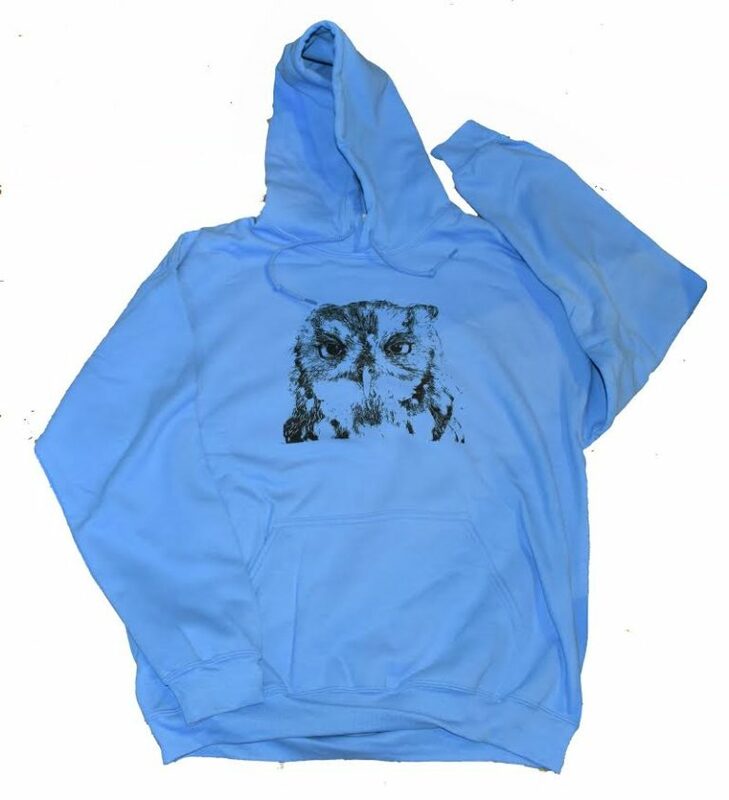 Items range from unflavored Pedialyte and paper towels, to potted trees. The complete Wish List can be viewed here . Annual "Trash Bash". 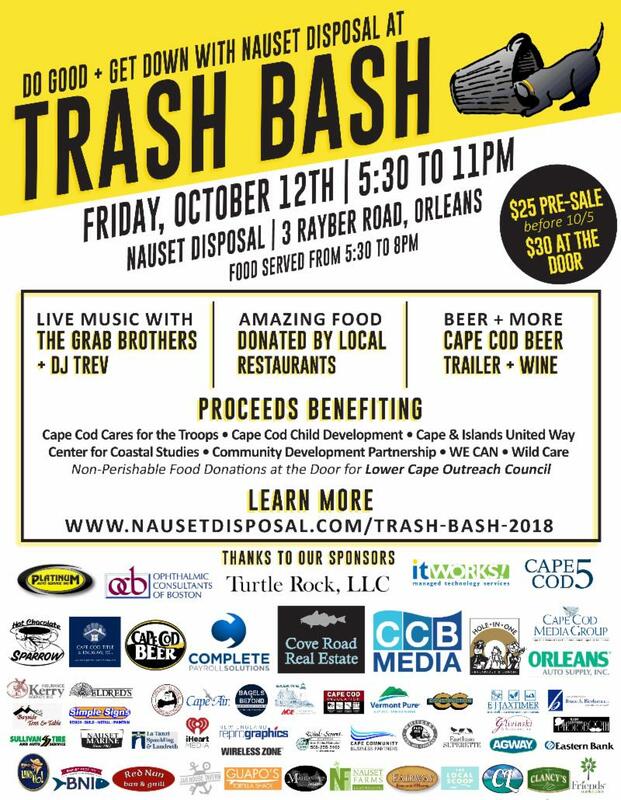 Thank you Nauset Disposal! 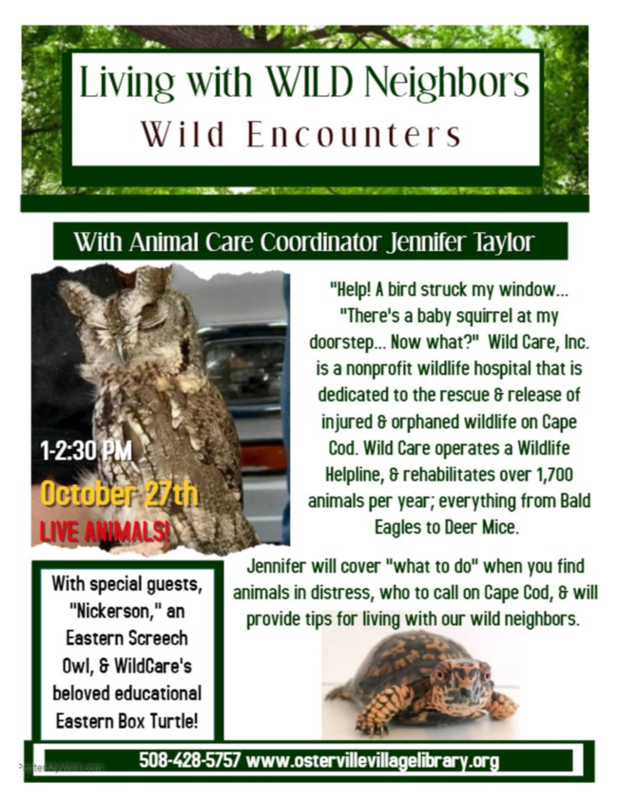 Join us for a fun and informative talk with Wild Care’s Animal Care Coordinator, Jennifer Taylor. 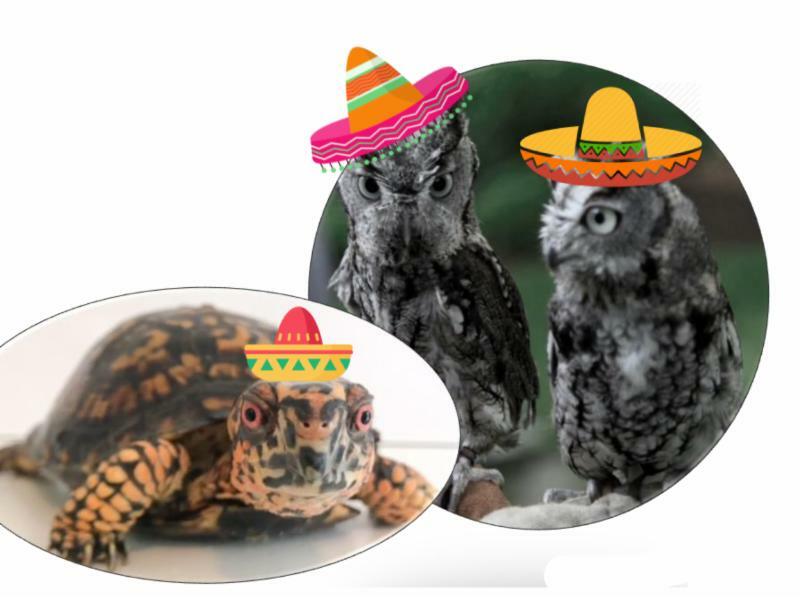 Meet special guests "Nickerson" the screech owl and #45 the box turtle. The library is located at 43 Wianno Ave. Ample parking. All are welcome! No RSVP required. Full details... Or contact Osterville Village Library at 508-428-5757. 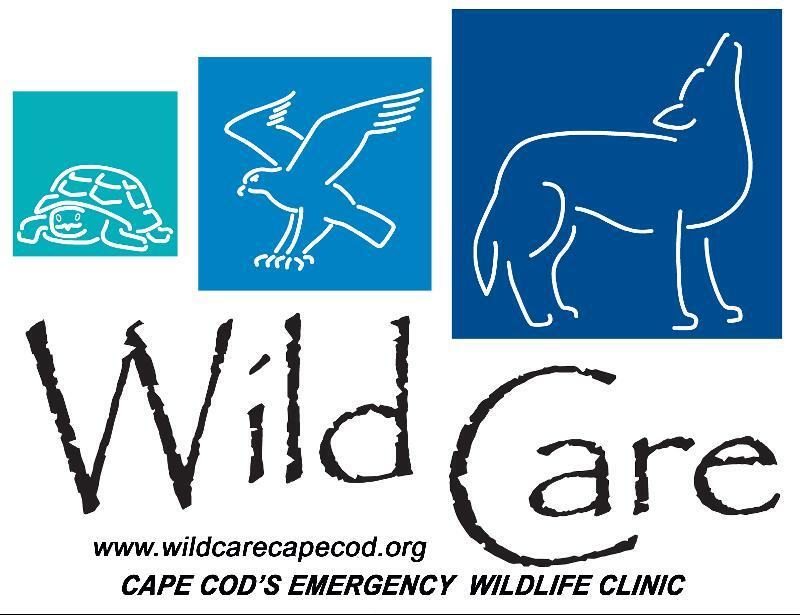 Wild Care received a generous donation of $10,000 from Arnold’s Lobster & Clam Bar. 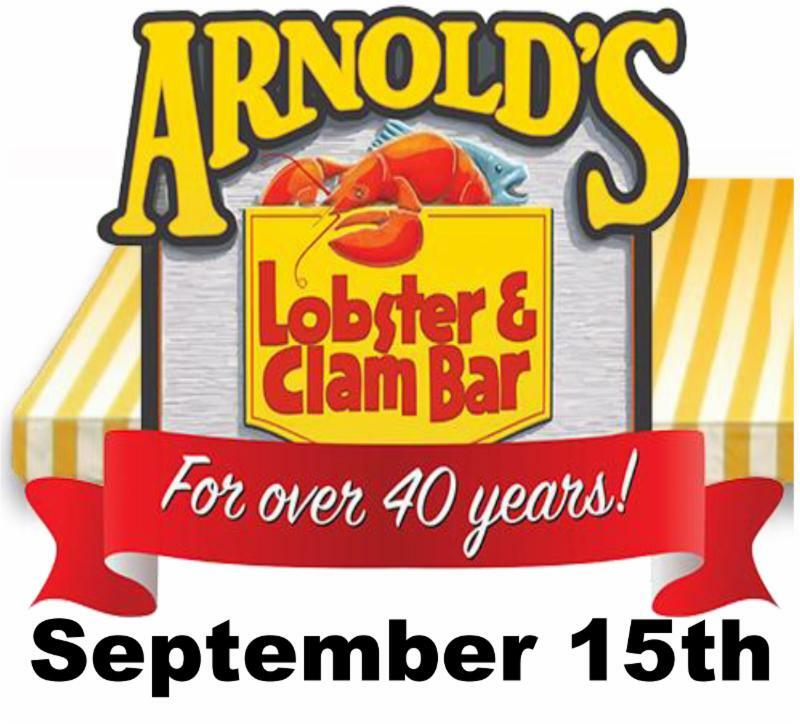 The donation represents half the proceeds from all food sales, ice cream, and mini-golf sales on Friday, September 14th and Saturday, September 15th. 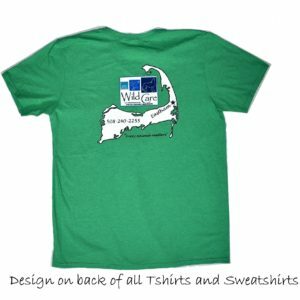 The other half of the proceeds was donated to our wonderful friends, the Animal Rescue League of Brewster! 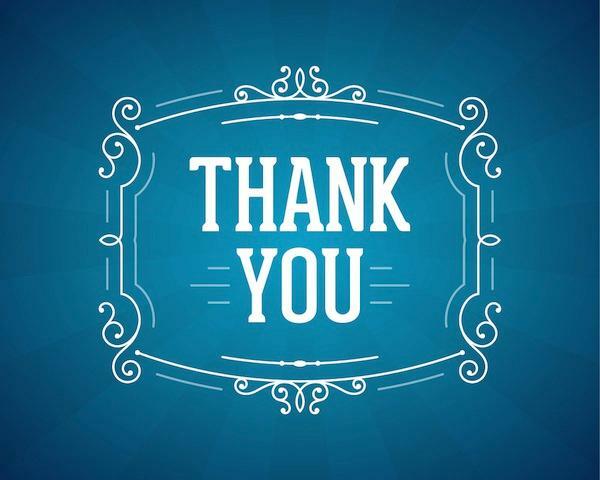 Thank you Arnold's owner Nick Nickerson, for your kindness and your love of animals. We'd like to welcome Kerry as our Office Administrator. Kerry has been with Wild Care as a volunteer since our founding. In 1992, she found a crow in distress in her backyard. She then met Karen Von den Deale, our founder, and started volunteering in her clinic. 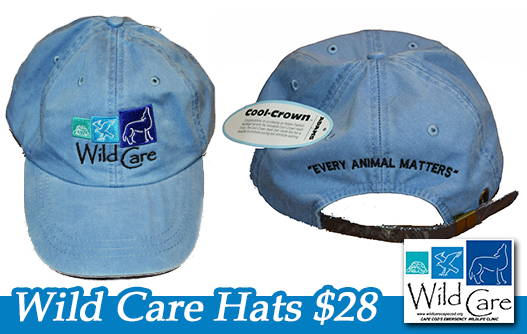 In 1994, Wild Care became incorporated, and the rest is history! 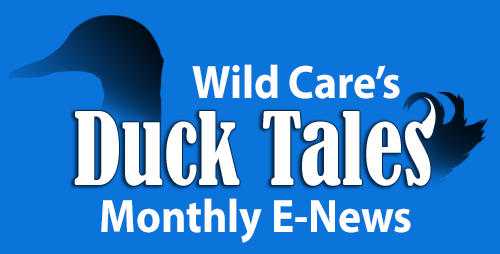 Kerry is a Licensed Wildlife Rehabilitator specializing in the care of Corvids (crows/jays). She also served on our Board of Directors for many years, and sits on our Fundraising Committee. She is a wonderful photographer. Look for her photos on our social media pages. We absolutely adore Kerry and we are so excited to have her on our team. 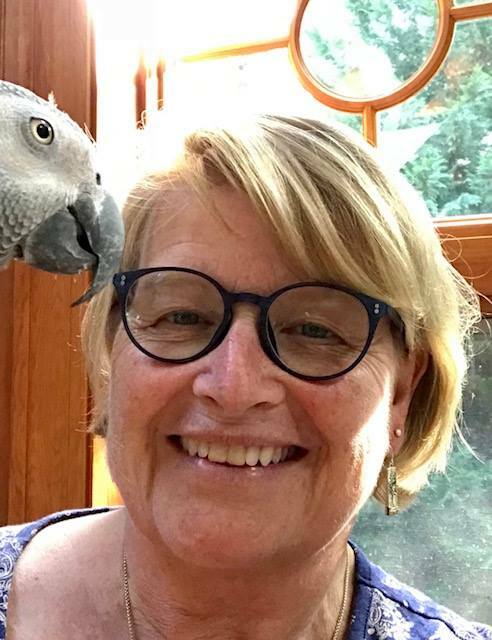 Here she is with her 24 year old African Grey parrot, "Everett". Welcome Kerry - from the Staff and the Critters! Read Our Summer Appeal Letter 2018!